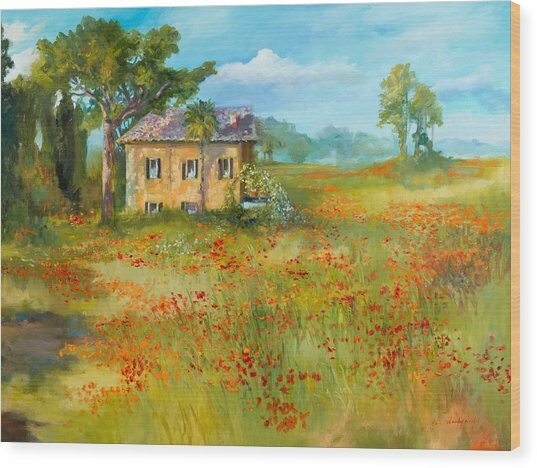 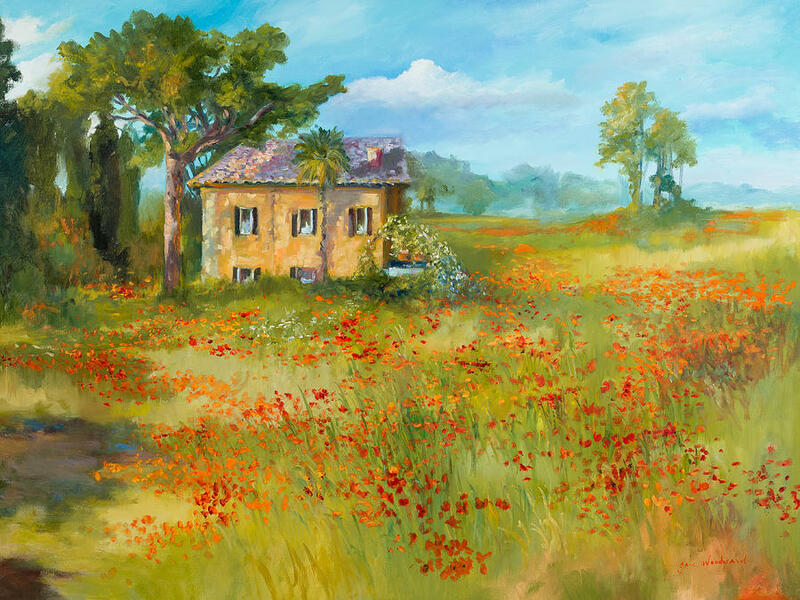 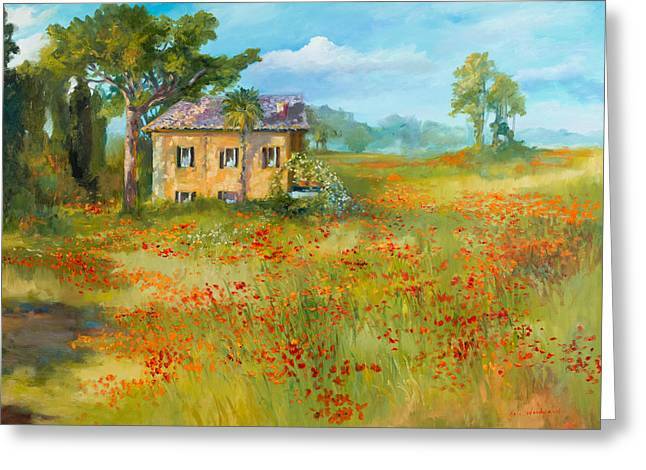 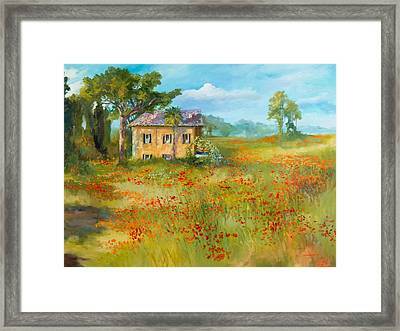 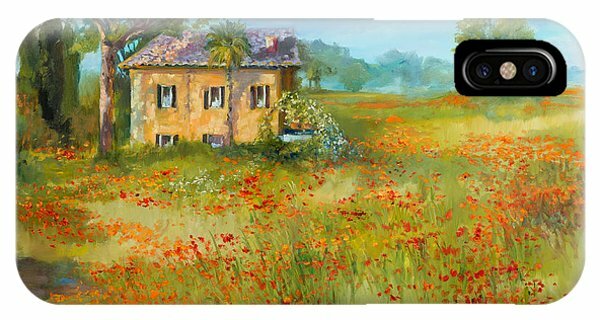 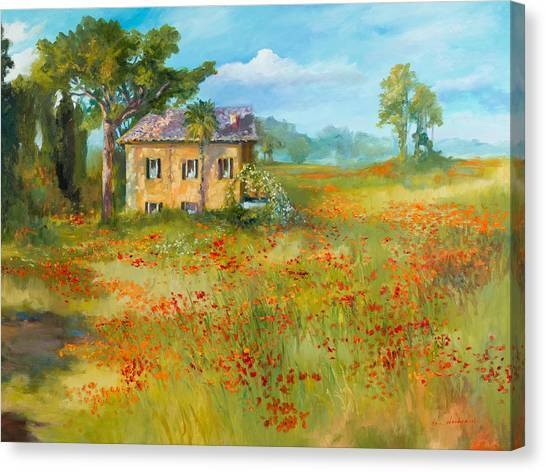 The Poppy Fields Of Tuscany Valley is a painting by Jane Woodward which was uploaded on February 16th, 2014. 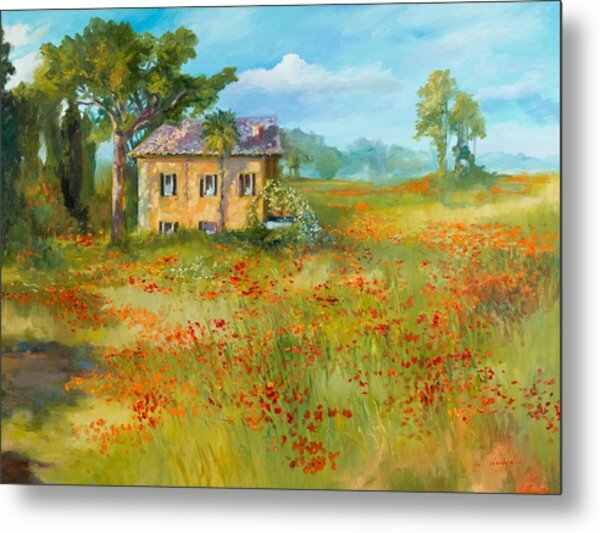 This Italian house situated in the Tuscan Valley between Florence and Rome, was just coming into the poppy season as I passed by on the train. Having just attended a painting workshop in Tuscany I was alert to the dots of red emerging across the fields. One month later, in May, we would have seen red poppy fields so vast the valley would have appeared to have a red blanket spread across it.